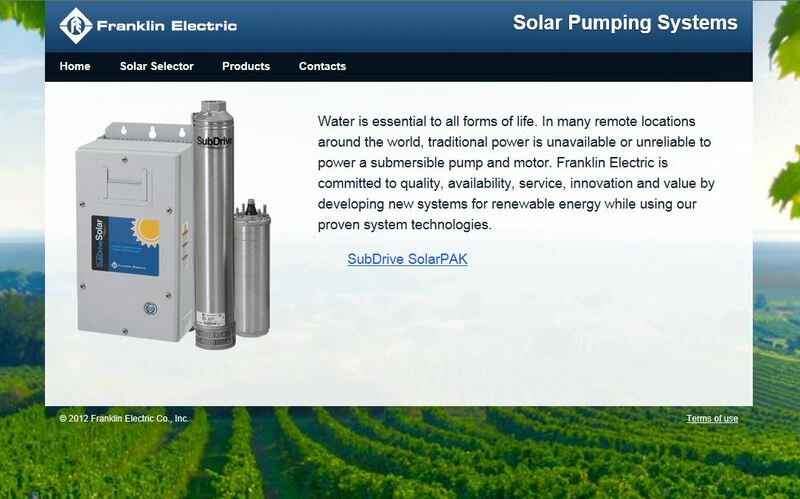 This entry was posted in Uncategorized and tagged Alternative Power Sources, franklin solar selector, online tools, pump sizing software, Pumps, Sizing, solar pak, solar pumping systems, solarpak, Submersible Motors, submersible pumps by markreeder. Bookmark the permalink. Hi, i have read through the post and commend you for introducing a good product. However, ive noted that the submersible motor is 60Hz. and 200Volts, 3 phase. 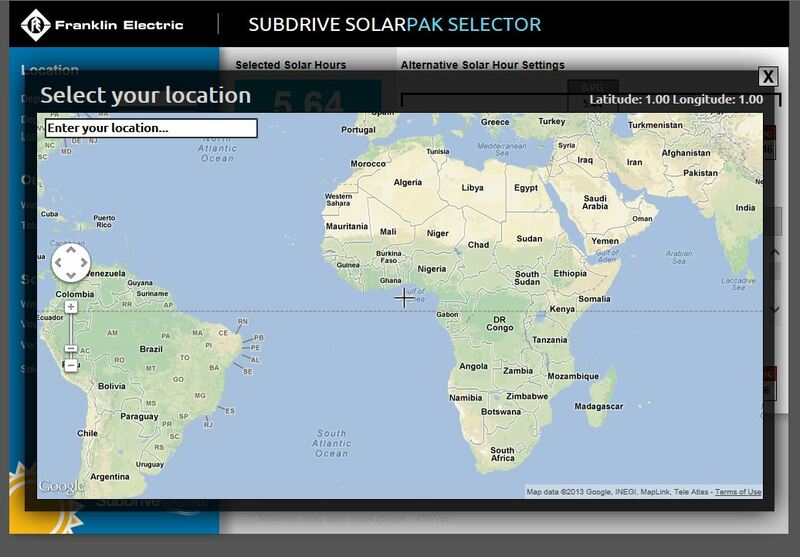 In my country our mains /grid power is 50Hz, would i be to run this unit successfully????? Can i run any other 3 phase submersible 240V motor using your type controller? Thanks! Thanks for your question. 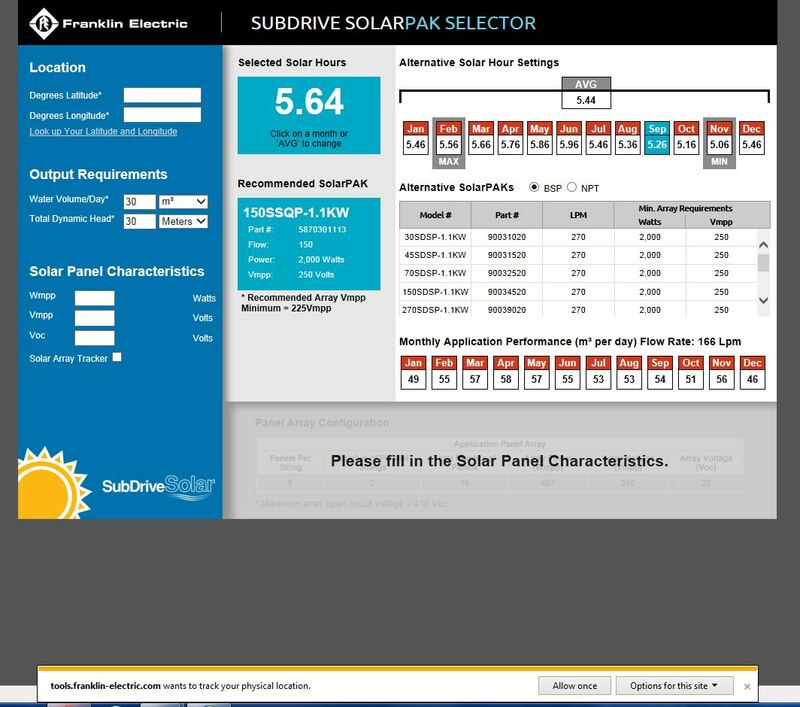 The SubDrive SolarPak controller is designed to run with specific Franklin motors. 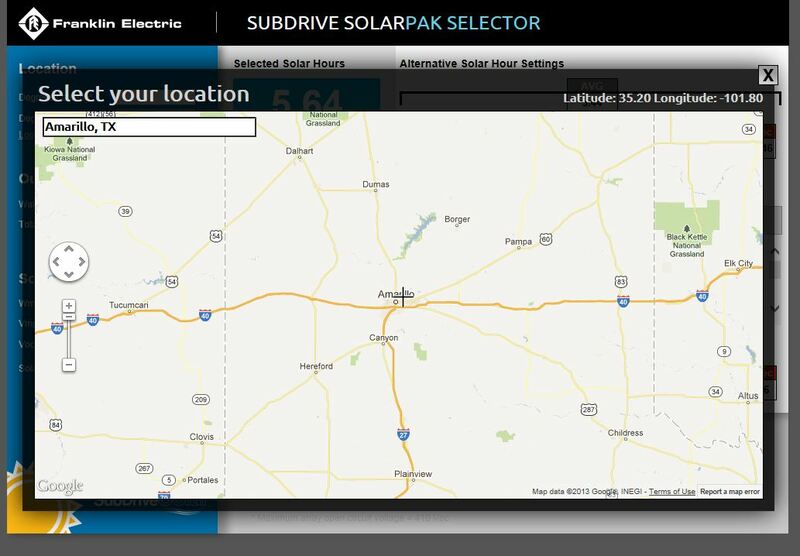 You can find the specs at our website, http://www.franklin-electric.com/solar. 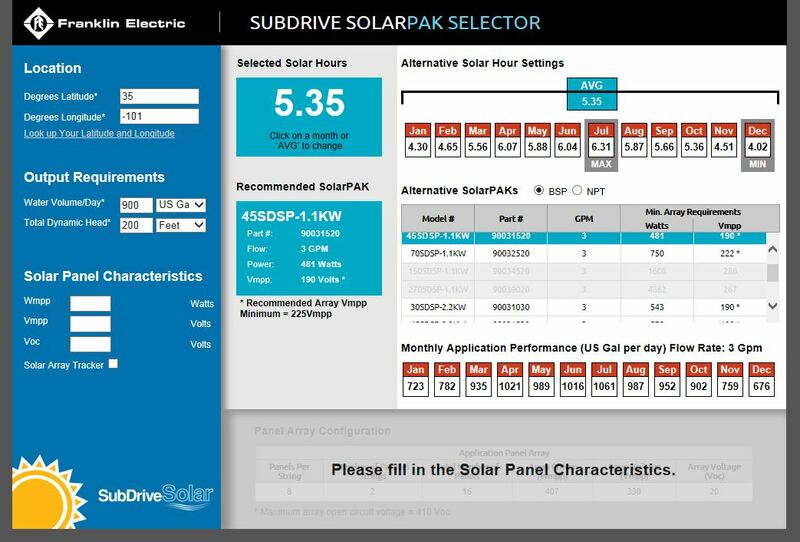 If you are running your motor/pump on the power grid, we have many different ratings available to serve your power configuration.